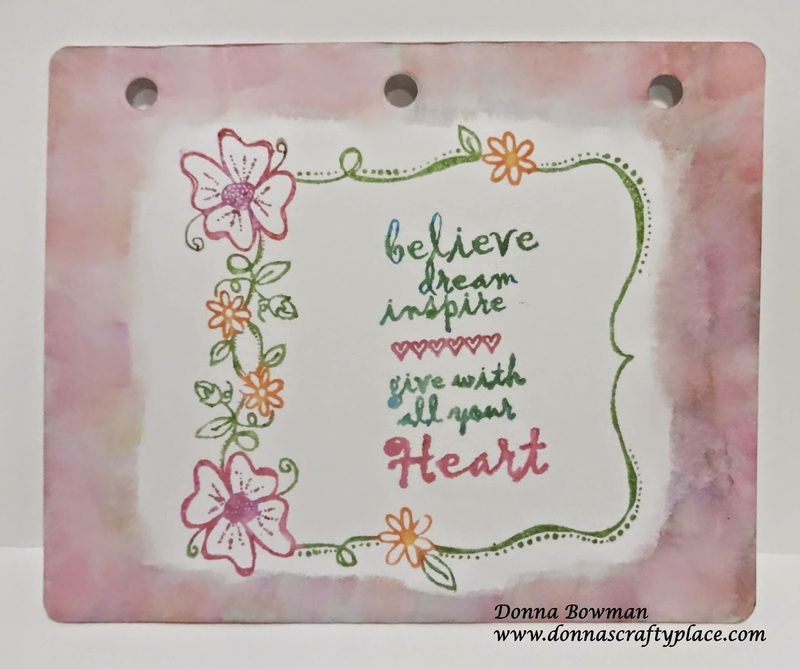 I made this little journal page using Unity Stamps and Tim Holtz Distress Marker watercoloring. I used the Faber Castell Mini Mixed Media Journal. I colored on the stamps with Distress Markers, spritzed with water and stamped them onto the page. For the border I used a watercolor brush and added distress ink to an acrylic block and picked the color up with the brush and made small brush strokes all around the edges using 6 different colors. The stamps are from the Unity November 2013 KOM. Thanks for stopping by!! Hi, didn't see your work that you posted on the Mixed Media Monthly challenge so I though't I'd post here, Love it! You do such inspiring work. Love the watercolor look. So pretty! This stamp looks so beautiful colored in with markers! Very lovely page! So pretty!! Love how you used the different colors for the flowers in the frame. Very pretty - love the watercoloring! Wonderful sentiment and frame. Beautiful soft colors. Very pretty. I like how you used the distress inks. I love all of the soft colours you have used on here. Love your sweet journal page! So pretty Donna! Love the pinks and how you did the edging. Fantastic use of the Distress Markers.